Vinery staff returned from the Magic Millions this week more than satisfied with a positive start to the sale-season on the Gold Coast. Topping the 16 lots that found new homes was the $550,000 three-quarter brother to Sydney stakes winner Sandbar (Lot 206). The half-brother to Vinery-bred Victoria Oaks Gr.1 winner Aristia (Lot 849) was next best at $500,000. 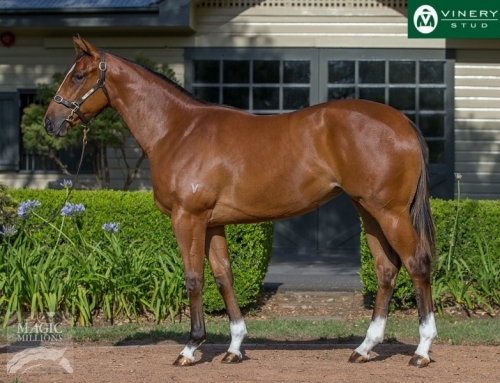 Aquis Farm also targeted More Than Ready spending $600,000 for the colt from Black Prada (Lot 406). 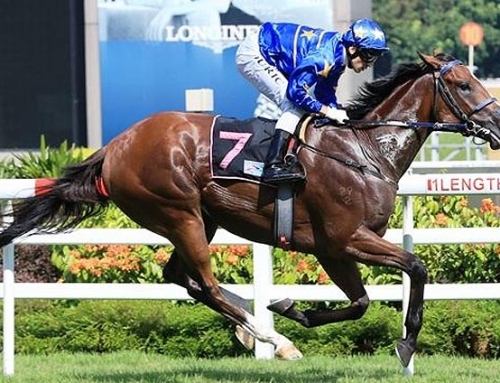 The Vinery legend’s colts out of Global Dream ($340,000) and Heart Ashley ($280,000) were added to the Aquis Farm shopping list later in the week. All Too Hard was popular with a 93% clearance-rate. A Hong Kong-bound colt (Lot 398) headed his draft at $320,000 followed closely by a Belmont Bloodstock buy (Lot 579) for $300,000. Vinery newcomers Press Statement and Headwater also featured prominently on the first-season leader-board. Press Statement had 6 sell in Book 1 for an average of $170,000 and Headwater had 10 change hands at an average of $97,500. That’s approximately 6 times their service fees and that augurs well for their next draft at the Inglis Classic Sale starting on February 9. 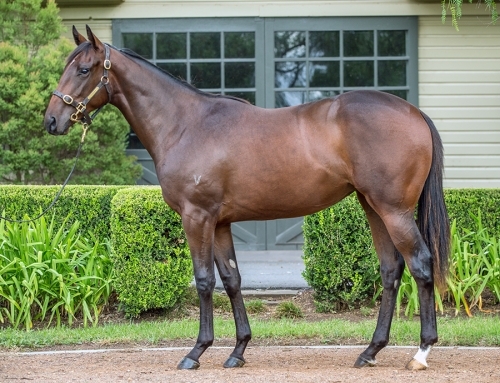 Vinery has 29 yearlings heading for the Riverside Stables and they kick off with Lot 1 – All Too Hard’s filly from Group 1 mare Walk In The Park. 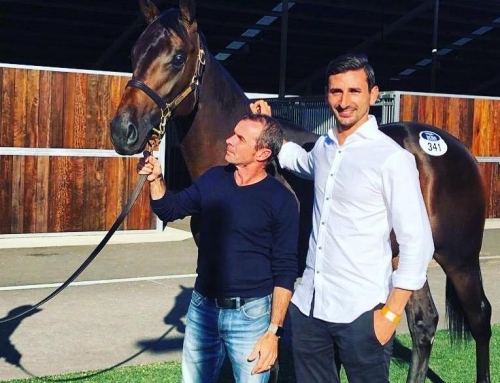 Vinery graduate Exhilarates capped a tremendous week on the Gold Coast with an eye-catching victory in the $2 million Magic Millions 2YO Classic RL. She was a $600,000 buy for Sheikh Mohammed twelve month ago. 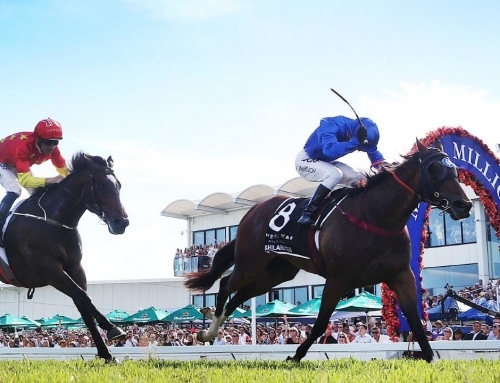 It’s back to Group 1 business this Saturday with Vinery stalwarts Mossman and Testa Rossa both poised to strike at the elite level in New Zealand. More Wonder will be on the hunt for a Group 1 first in the Thorndon Mile (1600m) at Trentham and Lisa Allpress will be keen to erase a nightmare ride last time out in the Levin Classic Gr.1. 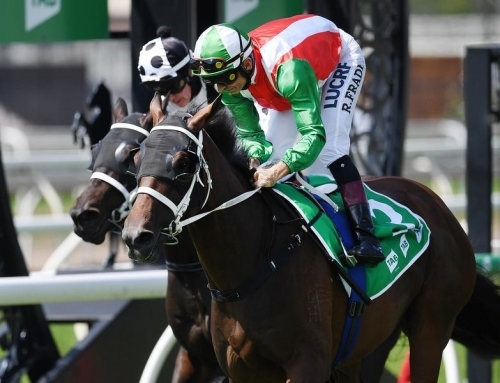 Trainer Graeme Rogerson is adamant the Mossman gelding should have won instead of being beaten less than a length into fourth place. The abridged stewards indicates Rogerson had every reason to claim the gelding was very unlucky; ‘Slow away, commenced to over-race when restrained, held up entering home straight then awkwardly placed on heels. Steadied and badly held up before being angled outwards abruptly to obtain clear running near 200m’. More Wonder (pictured) should have no issues with the quick back-up. A $45,000 graduate of the NZB Select Yearling Sale, he holds further nominations for the Herbie Dyke Stakes LR on February 9 and New Zealand Derby Gr.1 on March 2. Enzo’s Lad leads a South Island contingent of five raiders heading to Trentham for the Telegraph Hcp Gr.1. He will carry top-weight of 58kg. 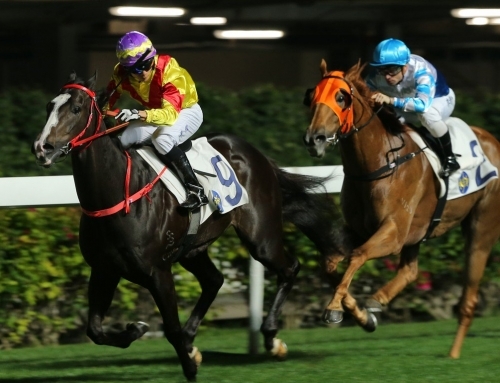 The Testa Rossa gelding caused a $74 boilover in last year’s feature sprint and the TAB has dismissed his chances again offering $51 on fixed-odds markets. 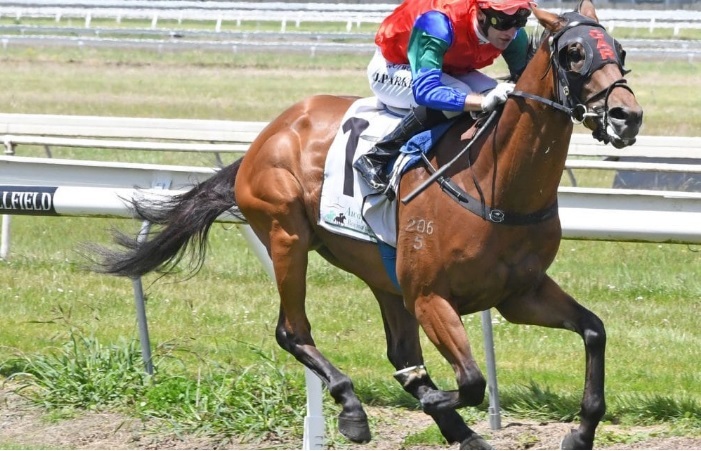 Testa Rossa filly Dreamtesta can play a hand in the Gore Guineas LR after a last-start victory at Ashburton. Bred by Gerry Harvey, she is trained by Neil Ridley at Riccarton and is from a daughter of Brisbane Cup Gr.1 winner Portland Singa. More Than Ready Eclipse Award-winner Roy H makes his seasonal return in the Palos Verdes Stakes Gr.2 at Santa Anita on Saturday. The two-time Breeders’ Cup Sprint Gr.1 champion won the same Santa Anita sprint last year and connections are confident he can continue on that path of excellence in 2019. “It’s rinse and repeat,” Rockingham Ranch manager Brian Trump said this week. “It’s worked for the last few years.” Roy H is being set for another trip to the Gulf for the Dubai Golden Shaheen Gr.1 at Meydan on March 30. He was purchased for $310,000 at the 2014 Keeneland 2YO Sale and has won 9 times in 22 starts for earnings over $3.01 million. More Than Ready filly Rushing Fall returned to Chad Brown’s barn a fortnight ago after a spell at Stonestreet Farm in Florida. She was last seen winning the Queen Elizabeth Cup Gr.1 at Keeneland in October. 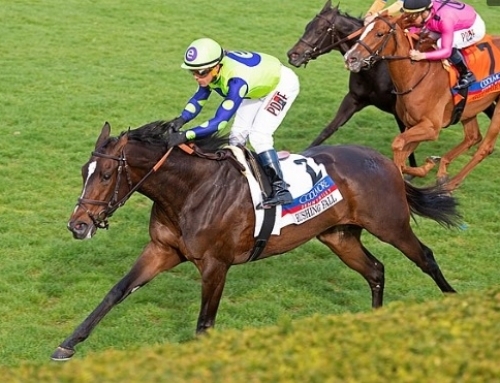 Brown predicted she could resurface back at Keeneland in the Jenny Wiley Stakes Gr.1 in April. More Than Ready filly Miss Southern Miss can add more black-type to her pedigree page in the Marie Krantz Memorial LR at Fair Grounds on Saturday. Her first stakes win was in the 2016 Surfer Girl Stakes at Santa Anita.